Realistic SciFi NASA Lander for Moon or Mars mission. Includes complete UV maps. Previews rendered using Lightwave. 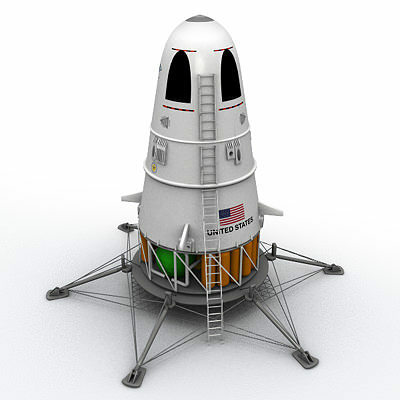 Lightwave version includes separate layers for the base, lander, flame and ladder objects. Moon surface not included. This is a very nice model! Well built with good textures at a good price.